Overwatch League players are looking forward to the change. After weeks of testing, Blizzard has moved several Overwatch changes from their test servers to the wider gaming population. 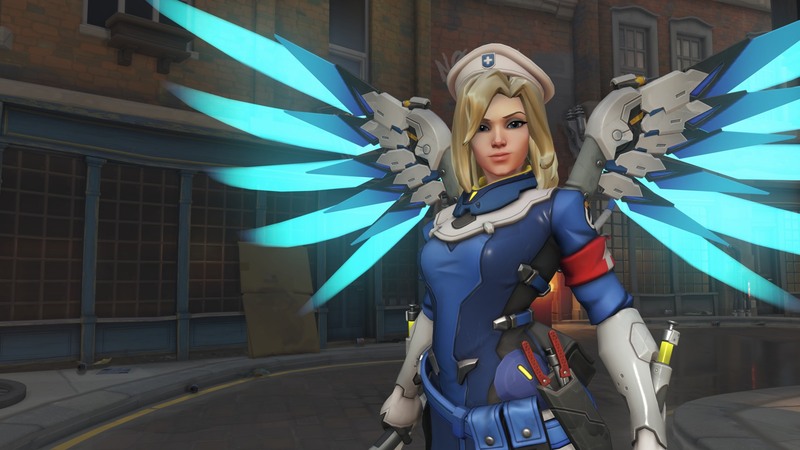 This new patch brings 4K team shooter action to players on Xbox One X, but the big changes affect two popular characters: Mercy and Junkrat. Both have seen their capabilities downgraded, with the healer Mercy seeing the biggest adjustment in what is just the latest change targeting her Ultimate ability, Resurrect. Xbox One X 4K support, @Warcraft #BattleForAzeroth pre-purchase goodies, and hero balance updates are here! The changes take a lot away from Mercy's ability to resurrect teammates during her Valkyrie ultimate ability by slowing them down (before, with Valkyrie active resurrections happened instantly), shortening its duration and slowing her movement. Meanwhile, Junkrat's concussion mines need more accurate targeting to do the most damage, preventing players from spamming them in a general direction and getting kills as easily. A major catalyst for the adjustment is competitively ranked and eSports-level play like the Overwatch League. For more information on why it's changing so drastically, I can point to an IGN video showing which character pros hate the most, and writer Nico D.'s essays about "Why Does Everyone Hate Mercy." Pro gamers who have been critical of the character seem happy with the move, even as regular players who enjoy the character must adjust to life with some new restrictions. eSports site Dexerto points out a number of reactions from league players including the San Francisco Shock's André 'iddqd' Dahlström, who tweeted "Words cannot describe how happy I am. Overwatch is literally playable again." Still, the change won't immediately impact league play, and will only be implemented in the "Stage 2" round which begins February 21st.